After a year of restoration and enhancement, Denver Arts & Venues is reopening the McNichols Civic Center Building to the public with a special event Thursday, Sept. 15, 5:30 p.m. The public is invited to partake in a grand reopening celebration with food, drink, entertainment and opportunities to win prizes such as roundtrip airfare, tickets to Red Rocks concerts, Broadway shows, and more. Tickets are on sale now at AXS.com. The grand reopening celebration is the public’s opportunity to see the newest iteration of this historic building. Improvement highlights include a new front courtyard offering better connectivity to Civic Center Park and universal access to the building. The open courtyard supports outdoor program activation, as well as showcasing the building’s second floor exterior balcony. A new freight elevator grants easier access for public and private events and will enable diverse Denver Arts & Venues programming. Second and third floor restrooms have been renovated and relocated creating more usable space and higher capacity events. The grand reopening celebration also highlights the newest exhibitions at the McNichols Building. “Art of Sport: Iconic Photographs of American Legends from 1956-today” features the work of the famous Rich Clarkson and the Clarkson Creative Group, and includes iconic shots of NCAA tournaments, the Denver Broncos and Colorado Rockies. “I’ve got a bike! : Artists respond to the Bicycle” celebrates Colorado’s bike community through the eyes of local artists with SPOKES presenting cutting-edge videos and sculptures on the cycling theme. Opening as a Carnegie Library in 1910, and located at the intersection of Colfax Avenue and Bannock Street, the McNichols Building originally served as Denver’s first public library and as the center of learning in Civic Center Park. The Greek Revival-style building was designed by Albert Ross and funded through a generous $200,000 donation from industrialist and philanthropist, Andrew Carnegie. The building served as a library until 1955 and then as the home of the Denver Water Board. The building was renamed the McNichols Civic Center Building in 1999 in honor of the McNichols family contributions to Denver. In 2010 the inaugural Biennial of the Americas transformed the building into a focal point of culture, art and ideas, representing people of the western hemisphere for the month of July. Denver Arts & Venues re-opened the building in 2012 as a contemporary arts and culture hub for the people of Denver. The McNichols Building, with its classic Corinthian columns and iconic colonnade, offers new arts and culture experiences in a classic space. The building, along with Civic Center Park, was named a National Historic Landmark in 2012. With the new renovations, the distinguished building enters its new chapter, not only as a historic cornerstone in Denver, but as a place to experience art, culture and events. con.cept colorado is a new 11 acre art complex, comprised of art studios ranging in size from 350 to 2,000 square feet, larger gallery spaces of varying sizes, and other amenities such a a coffee house and food and drink venues. the artist community will also host many special public events, art workshops, etc. con.cept is located just outside of denver, colorado. the site is situated 7 minutes north of the river north (RiNo) art district. interstate highways 76, 270 and 25 are very close and convenient, and a new light rail station will open close to the site in 2018, which will link the complex to downtown denver and other city segments. phase one is scheduled to open in spring of 2017. MCA Denver is pleased to announce the I’m an Artist membership, a new program providing free museum membership for working artists residing in Colorado. This new membership level is the first in a series of initiatives and programs aiming to enrich Denver’s future by ensuring that artists and creatives are integral to its growth and success. MCA Denver is excited to be the first museum in Colorado to secure funding (for three years) to underwrite 1000 memberships, to be used exclusively by working artists. Beginning on November 19, Colorado-based artists can register for memberships through MCA Denver’s website (mcadenver.org/imanartist.php). “Colorado artists have always been a crucial part of our program, and this initiative takes our support one step further. It puts a little more wind in the sails of the many creative individuals who add vitality to the life of the city, regardless of their career stature.” said Lerner. To celebrate the new I’m an Artist membership, MCA Denver will be hosting a launch party on November 19, 2015 from 7-9PM. The party will coincide with the reopening of the Open Shelf Library, featuring work from twenty-three artists. The party will feature live screen printing of the artist membership cards, a vintage pinball tournament hosted by Marc Hughes, tunes from DJ Mike Giant, and drink specials in the MCA Cafe + Bar. Admissions to the event is one cent and open to the public. This program is one of a series of initiatives and new programs that the museum will roll out over the next three years, in an effort to enrich Denver’s future by ensuring that artists and creatives are integral to its growth and success. Assignment: We seek one photograph for the back inside cover of our 2019 West Colfax Lately magazine issue. This photograph should be inspired by the West Colfax corridor but does not need to be a strict interpretation of the Avenue itself. It could be a person or persons, a building, a landscape, a park, a sign, an inanimate object or anything else that is tied to the West side of Colorado’s most iconic street. The Rocky Mountain National Watermedia (RMNW) exhibition, in its 46th year, is presented by Center for the Arts Evergreen (CAE) in Evergreen, Colorado. RMNW attracts entrants and jurors from throughout the United States, and is regarded as one of the top watermedia exhibitions in the country. CAE’s mission is to promote and cultivate artistic excellence and to enrich the art experience in our mountain community. 2019 Juror: CAE is pleased to announce that internationally acclaimed painter, Sterling Edwards, will serve as the juror for the 46th annual Rocky Mountain National Watermedia Exhibition. Edwards is a contemporary watermedia master who is originally from Kansas City, Missouri. He has been a resident of North Carolina since 1973. The competition is a new component under MOA’s Design and Build program and solicits design proposals from student teams across the nation in response to a provided theme and challenge. The goal of the competition is to cultivate potential from emerging artists, architecture and design students and to allow them the space to conceptualize inventive ideas within a set of boundaries. The challenge for the 2019 competition is to design a pop-up makerspace, in which the public can come together and create. The makerspace should be designed through a blend of architecture and sculpture / installation and include a narrative about the type of programming that can occur within the space. 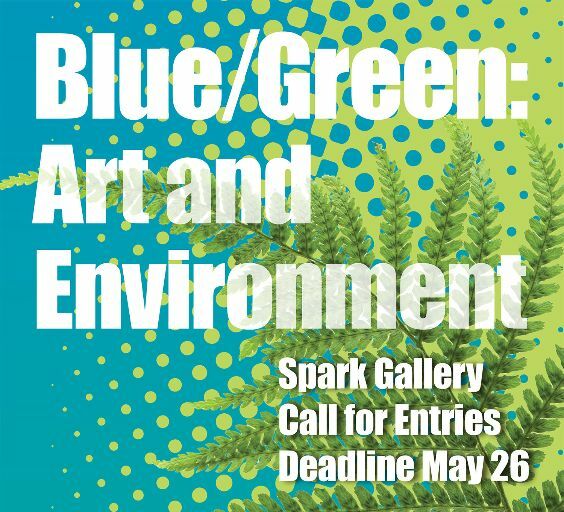 Winning entries will be selected through a panel comprised of MOA Board of Trustees, Executive Staff and a professional in the field, guest-panelist. The top three proposals will win cash prizes totaling to $9,500 and be featured on an upcoming Design and Build concepts and designs website. While the competition generally stays in the conceptual and digital realm, MOA, at its discretion, may elect to provide additional funds to any winning entry to actualize the concept into a physical installation, performance or product. As Design and Build has always emphasized collaboration, teams of three to six students are eligible to submit their collaborative design proposal. Competition details are available on the Design and Build Competition website at http://www.moaonline.org/design-and-build-competition. Prospective student teams can download a competition brief document on the website that outlines the full details and scope of the proposal submission process.